Grapefruit and grapefruit juice are healthful, providing enough vitamin C, potassium, dietary fiber, and other nutrients to earn the American Heart Association's "heart-check" mark. That's the good news. 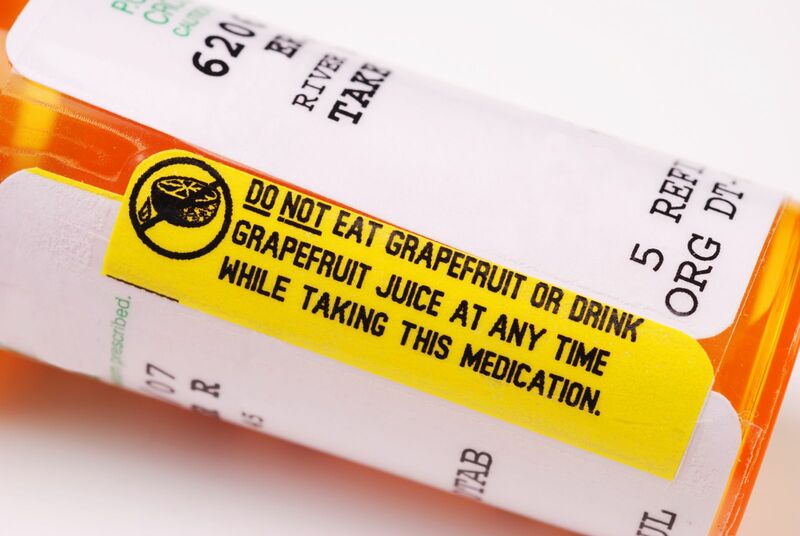 The bad news is that grapefruit juice can interact with dozens of medications, sometimes dangerously. Why do grapefruit and medications interact? Grapefruit's culprit chemical does not interact directly with your pills. Instead, it binds to an enzyme in your intestinal tract known as CYP3A4, which reduces the absorption of certain medications. When grapefruit juice blocks the enzyme, it's easier for the medication to pass from your gut to your bloodstream. Blood levels will rise faster and higher than normal, and in some cases the abnormally high levels can be dangerous. It doesn't take much grapefruit juice to boost the levels of drugs that are susceptible. A single glass can produce a 47% reduction of the intestinal enzyme that regulates absorption. And because this effect of the juice wears off slowly, a third of its impact is still evident after 24 hours. Sildenafil (Viagra) is of special interest to men. The clinical information is incomplete, but men who take Viagra should be aware that grapefruit juice might boost blood levels of the drug. That could be a good thing for some men with erectile dysfunction, but it could trigger headaches, flushing, or low blood pressure.